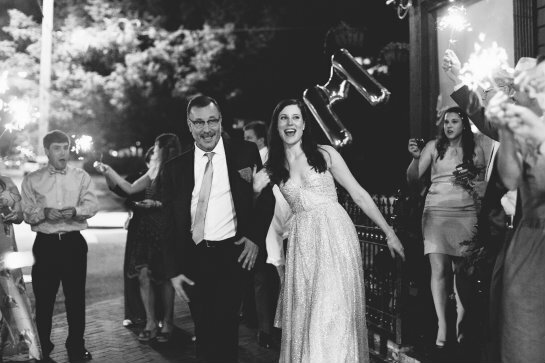 It's wedding week here on the blog and today we're sharing all the details behind the big exit! 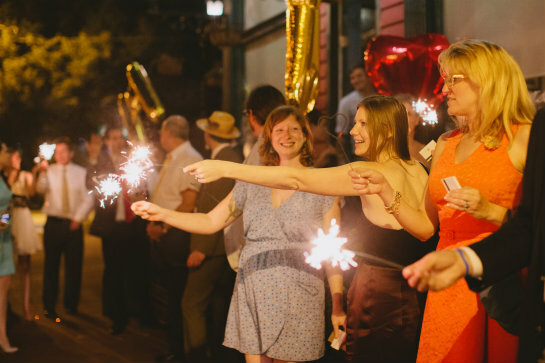 For our party send-off, we made heart shaped wedding sparkler kits. 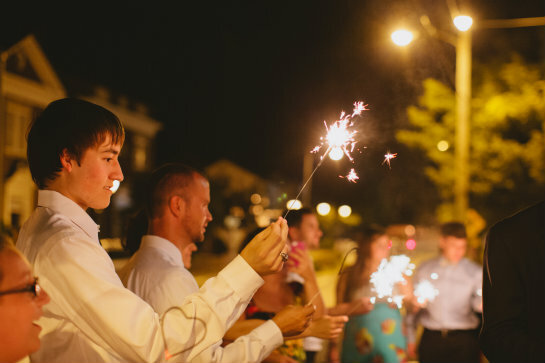 A sparkler exit has been a trend I've loved seeing pop up across weddings and since ours would take place during the nighttime in the city, we felt like leaving to the glow of sparklers would be fun and memorable. 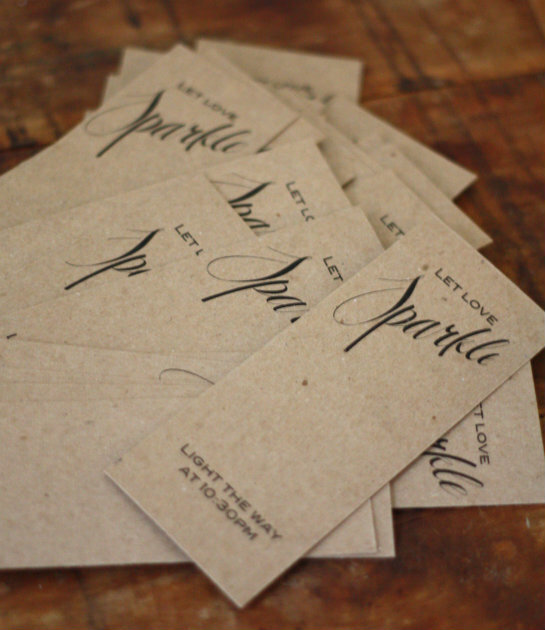 Instead of just passing the sparklers around at the end of the evening, we decided to make a packaged kit out of them that included some fun wording with the timing for the send-off and a personalized matchbook for lighting the sparkler with. 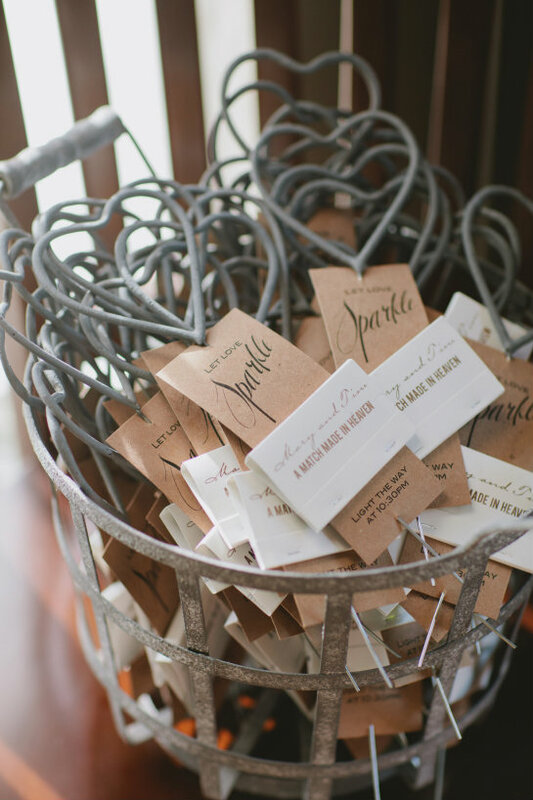 To keep things super simple, the matchbooks doubled as favors to take home. Before we dive into the tutorial, I'd love to share some of the more comical background story on making these send-off/parting favors for our own wedding. I found myself rushing at the last minute (as in, the morning of the wedding), to get them finished. 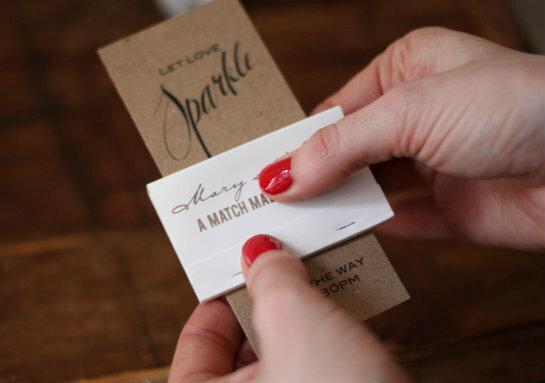 I already had the sparklers and sleeves on hand but had waited until a few weeks before the wedding to design and order the coordinating matchbooks. The budget-minded gal in me (and possibly crazy) decided to chance the cheaper shipping rate since we still fell within the pre-wedding delivery window. Little did I know this would mean our UPS deliveryman would (thankfully) leave them on our doorstep the evening before the wedding while we were out rehearsing and dining with the wedding party. While I was thrilled they had made it in time, in retrospect I should have shelled out the extra bucks for rush delivery to save myself some time the morning of the wedding. Alas, hindsight is 20/20 and we all get a good laugh out of the scrambling we did to get these done that morning. 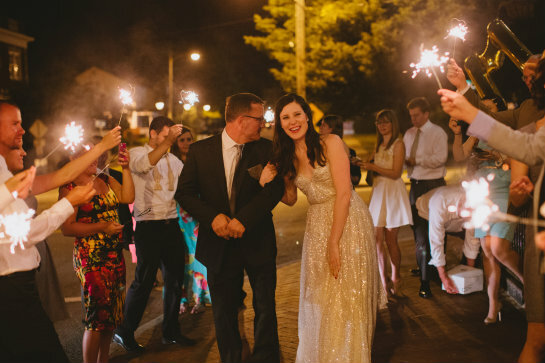 We went with the heart shapes instead of traditional sparklers as a play off love and to mimic the shape of the heart-backed bridesmaid and flower girl dresses. To make the sleeves, I made a design that would measure into a 1.5"x4" strip, then repeated it so 8 strips would print on a single 8.5"x11" page of thick kraft cardstock. 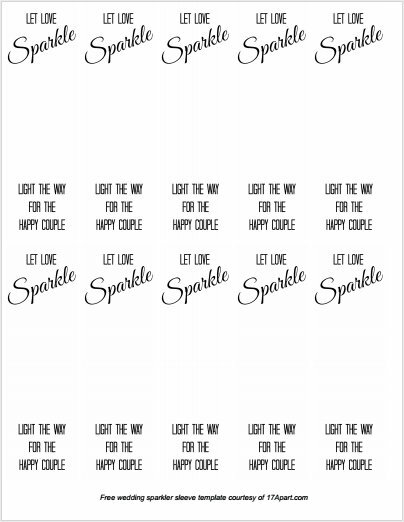 I used the simple wording "Let Love Sparkle" as a play off the wedding theme and downloaded a free fancy script font from dafont.com to visually play up the design. Leaving about 2 inches of blank space in the center of the strip, I finished the design with the wording, "light the way at 10:30pm" to give details about the timing of the exit. 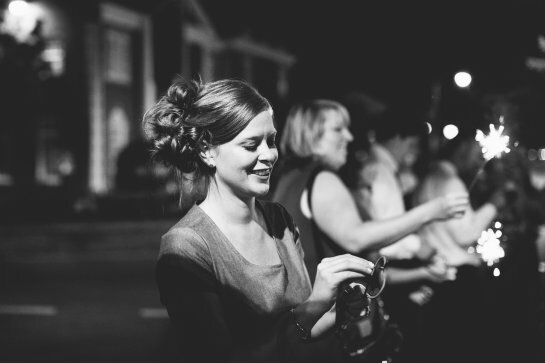 Other ideas for cute wording could be, let love shine, let the night shine, let sparks fly, let love glow, ignite love, send them off with a spark — there are so many options to get creative and make something completely your own. After running the printed sheets through the paper trimmer, we had a stack of sparkler sleeves ready for the next steps. 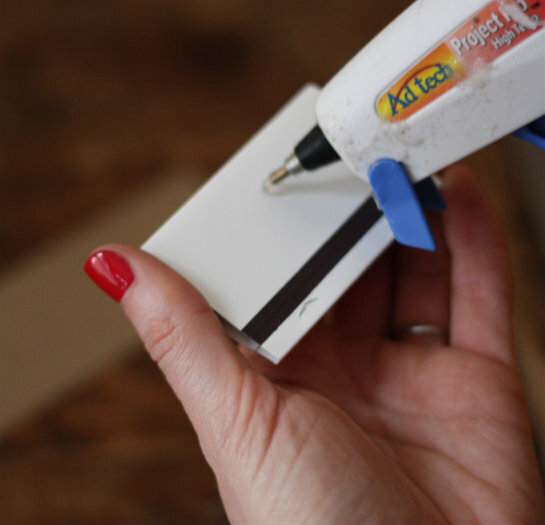 If you don't have a rotary paper trimmer, an x-acto knife and non-slip ruler will do just fine. 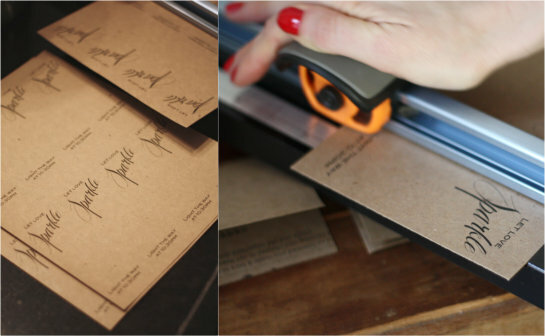 Next up, hot gluing the personalized matchbooks to the sleeves. 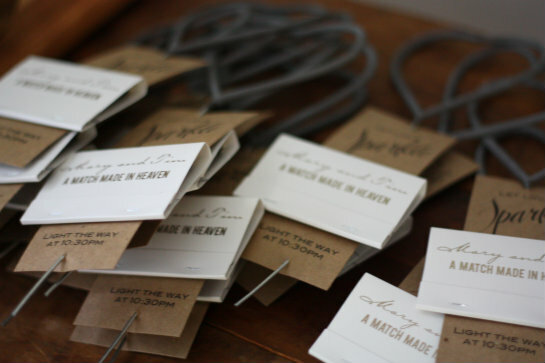 I'd ordered personalized matchbooks in bulk from For Your Party. 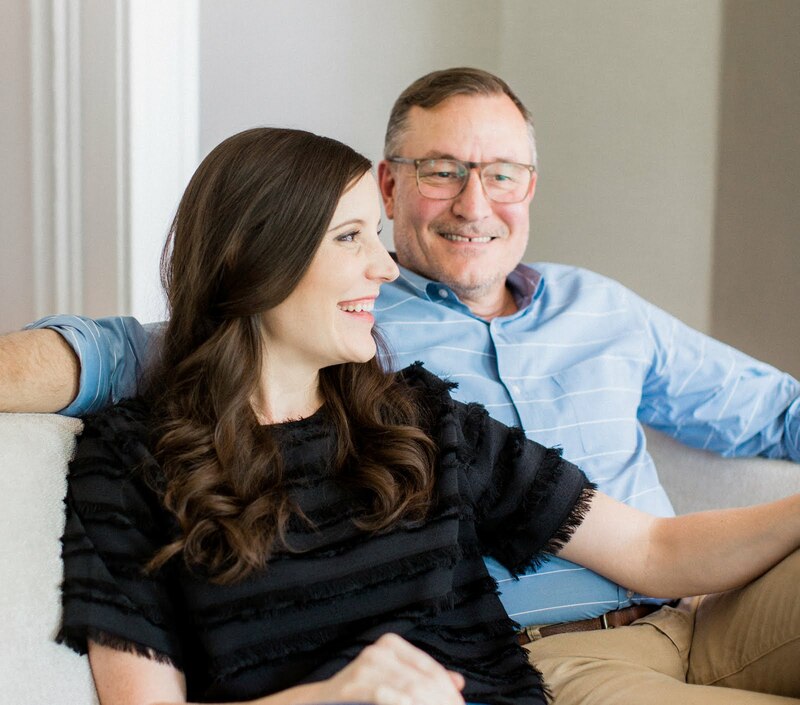 I liked the design options and was able to personalize ours with gold lettering (subtly tying in with the overall theme of the wedding) — Mary and Tim, a match made in heaven. Just a single dollop of glue above the strike line will do, since you want guests to be able to peel them off for use. After the glue was dry, I poked holes with a sharp needle at the top and base of the sleeve, then slid the sparklers through the holes to complete the kits! You can tell I was tackling this last DIY project at the final hour, given my bright red wedding manicure, ha. All in all, aside from the last minute scrambling to get these guys made, they went off without a hitch! 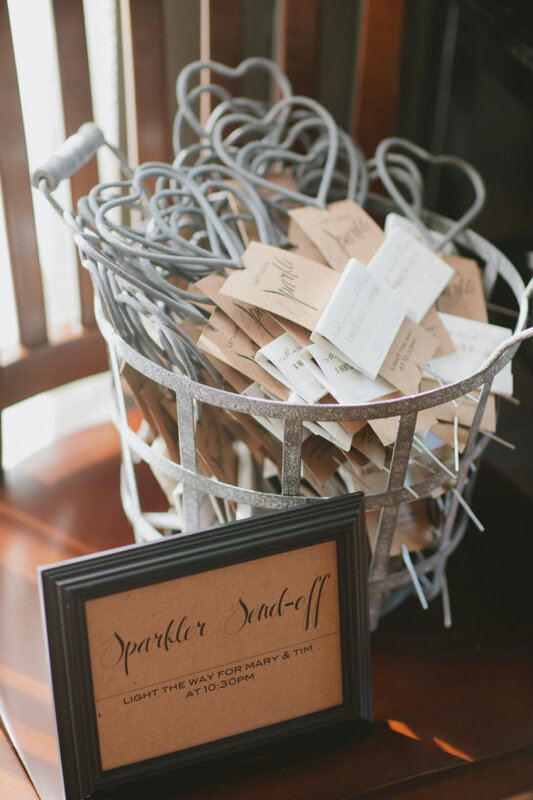 So that's what we went with — did you have an official exit for your wedding? 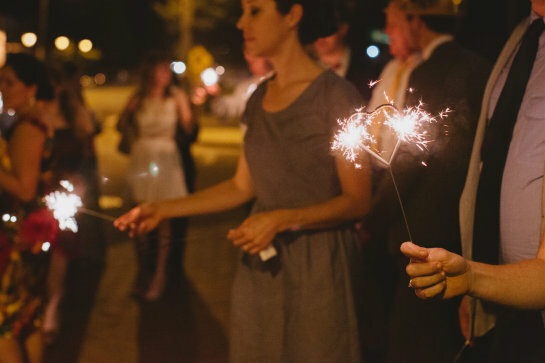 If you decide to make sparkler kits of your own, we'd love to know how it goes and see pics of the final outcome! I love this idea! It think the whole concept is just beautiful! And that's so sweet to post the tutorial, thank you! Thank you for these great free printables! 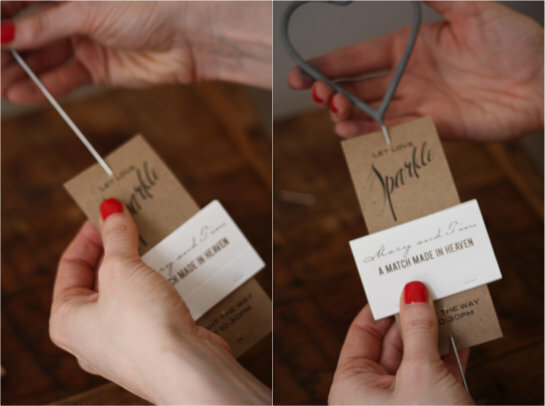 There are so few options for free sparkler holders and tags out there, and our customers are always wondering where they can gets their hands on them. We are referring people to this page left and right! Thanks again so much. Beautiful work! Wondering what font you used? I cannot find them! What font did you use? I'm looking as well! Thanks!